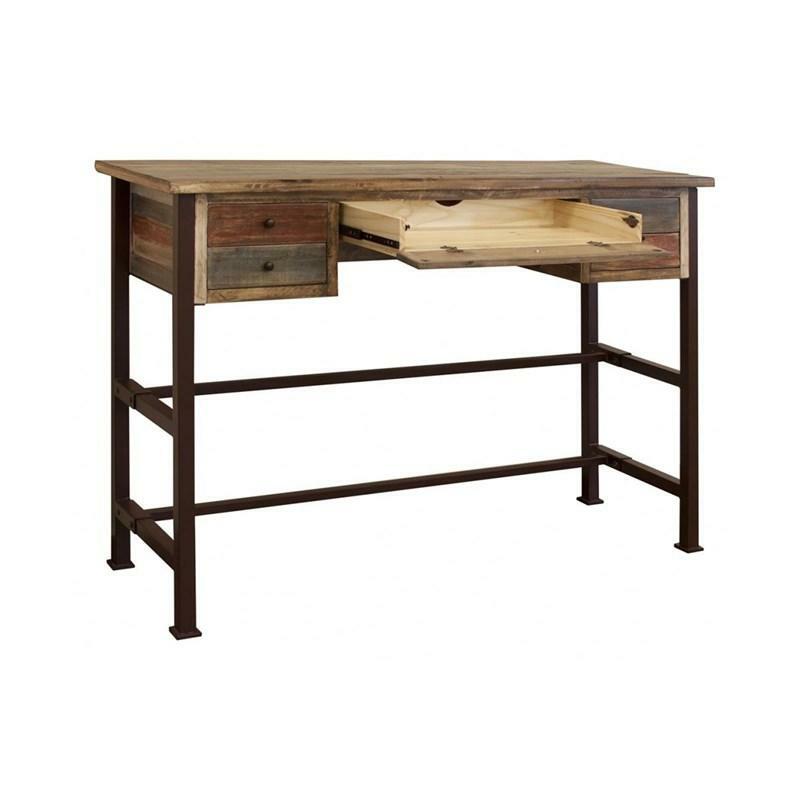 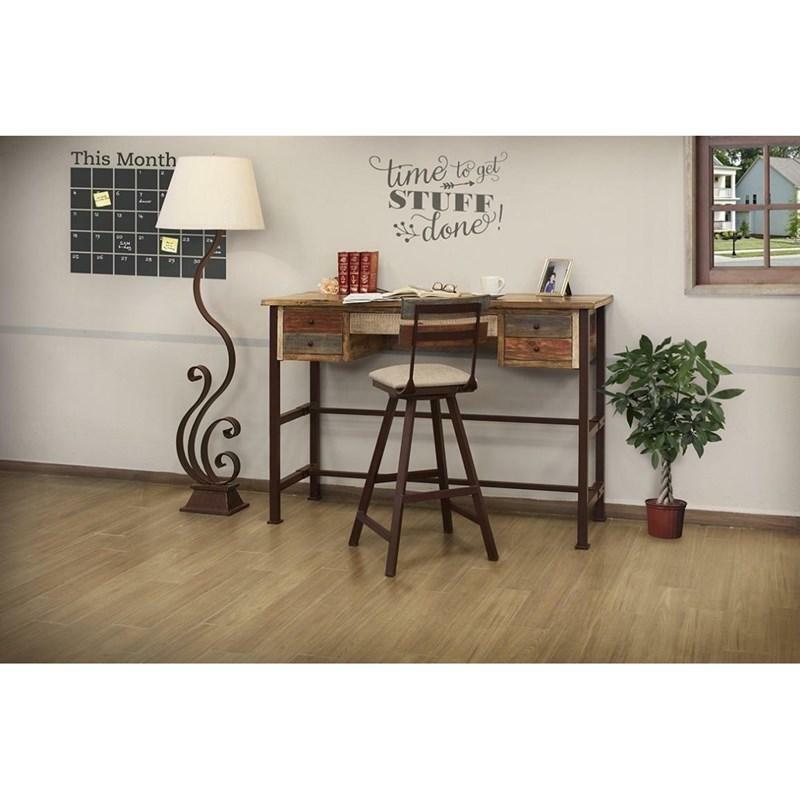 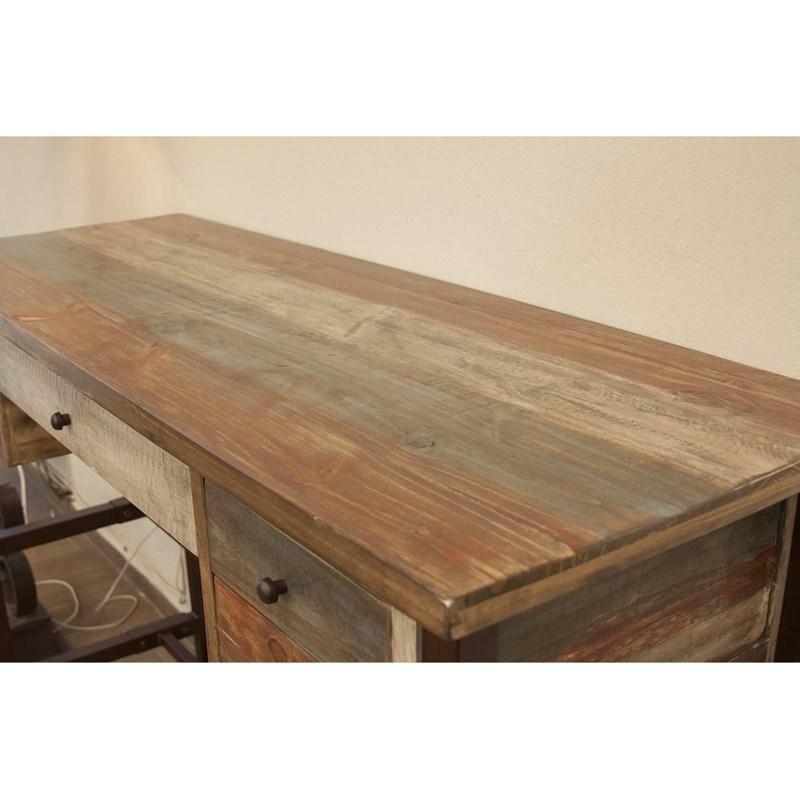 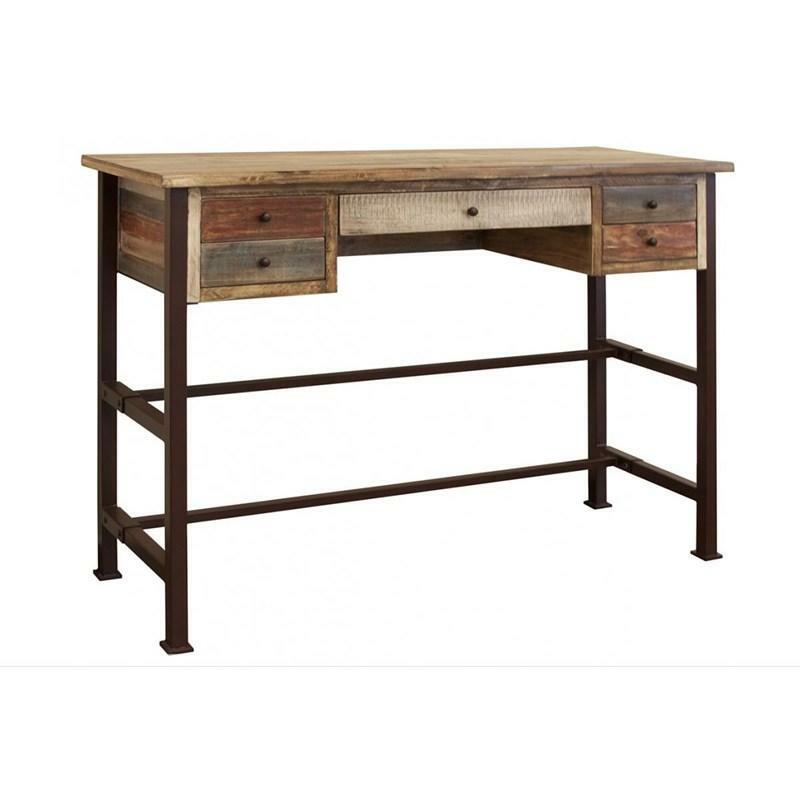 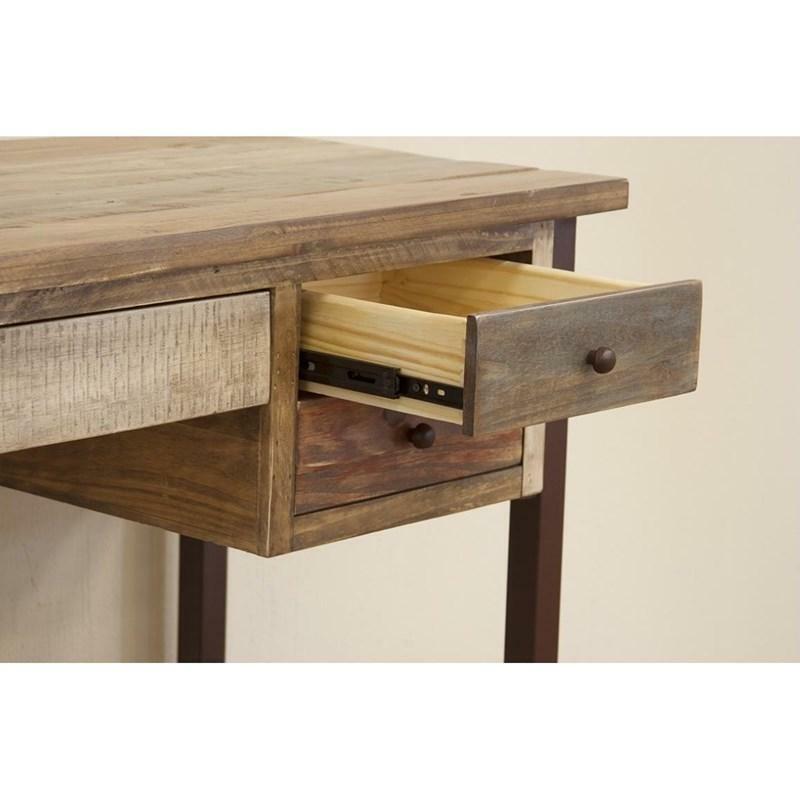 The Urban Multicolor High Desk by International Furniture Direct features mortise and tenon case construction, hand forged iron base, solid metal pulls, and centre pencil drawer with drop-down door to accommodate a keyboard. 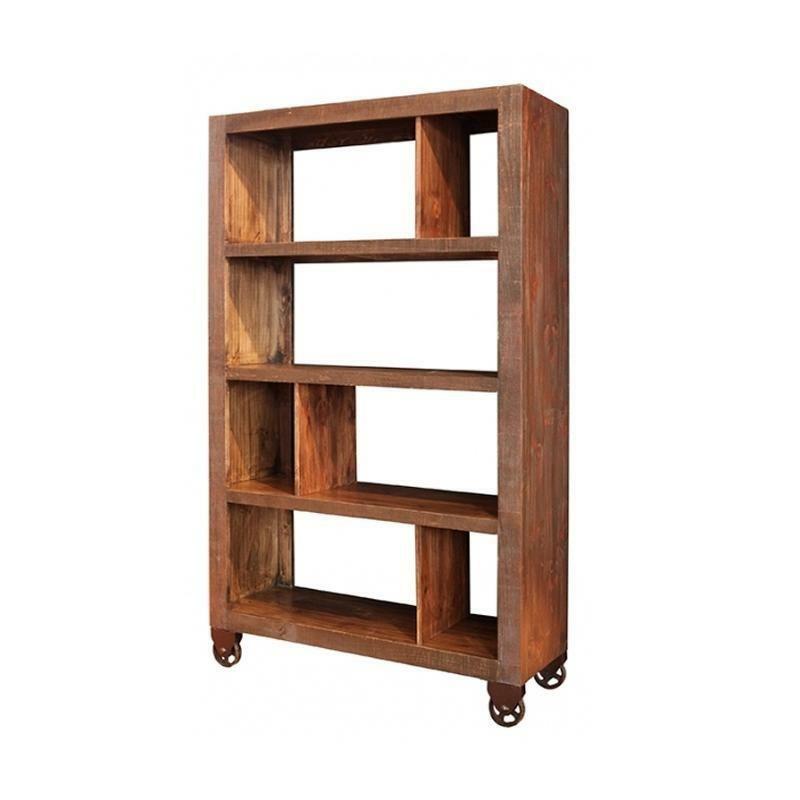 The Urban Multicolor Bookcase by International Furniture Direct features solid wood and a multi-color finish to provide a reclaimed wood look. 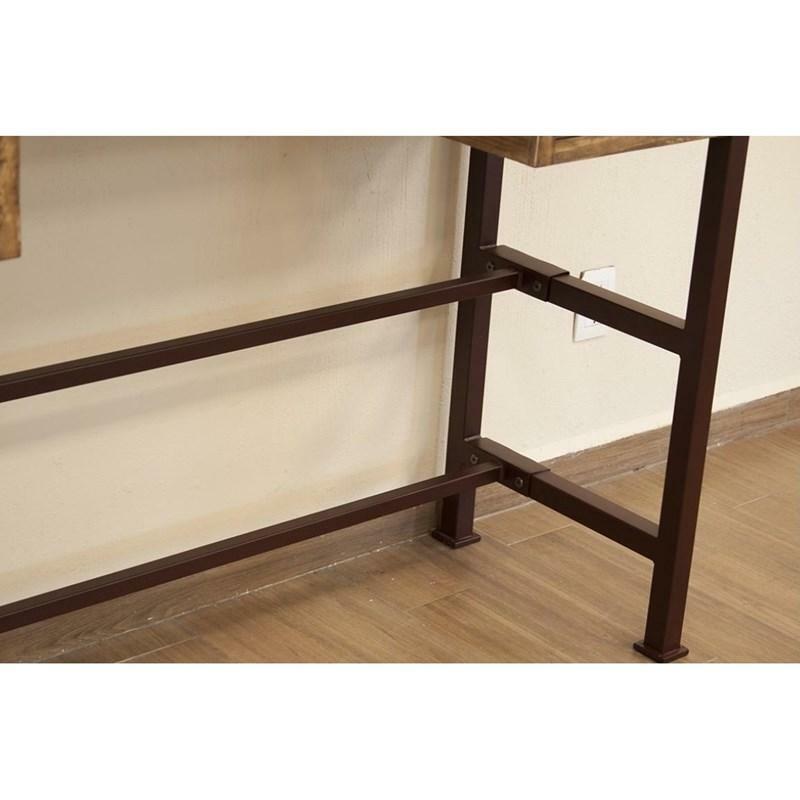 Both sides have functional casters.